Punta Prima is a small beach resort situated just south of Torrevieja, and is the most northerly of the Orihuela Costa resorts. 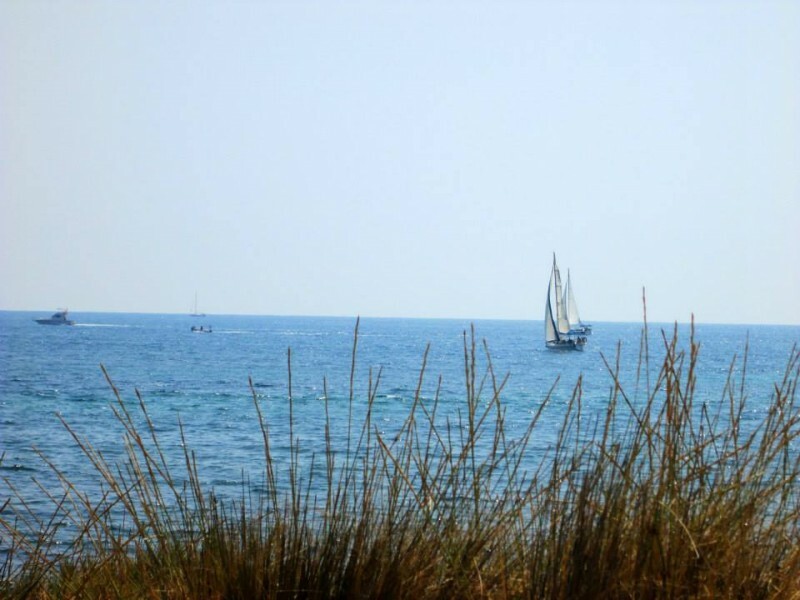 Punta Prima has two beautiful beaches which have been awarded the blue flag status, a mark of quality in services and cleanliness. 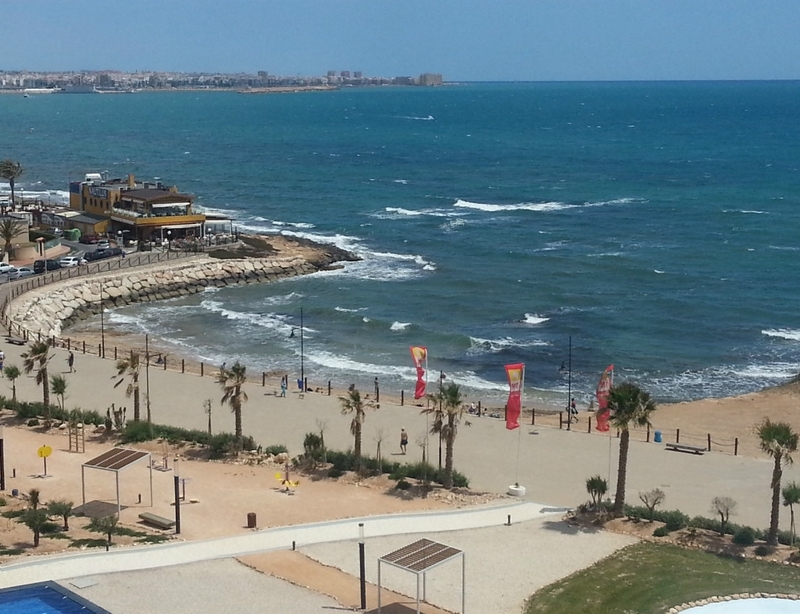 These beaches are just a stroll away with walkways along the coastal area adjoining other coves such as La Zenia. 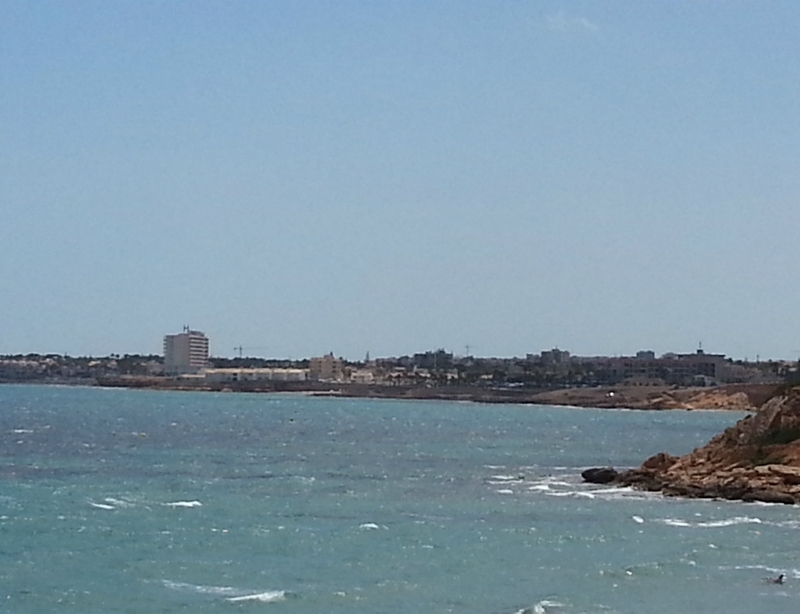 Punta Prima is only ten minutes away from Torrevieja, which is built around a traditional fishing village. It is a town with typical Spanish character with its fountains, squares, churches, numerous restaurants and shops. 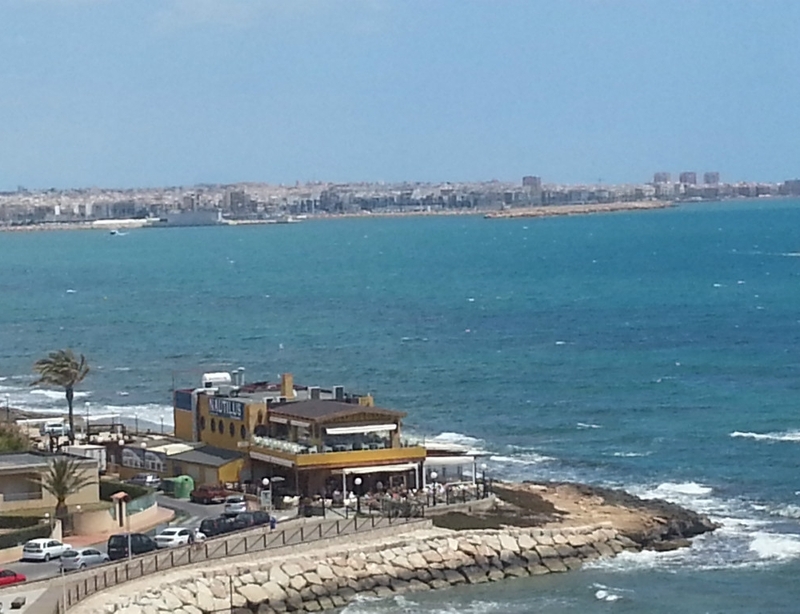 Only 5 minutes from Punta Prima is Playa Flamenca which hosts its large market every Saturday, well worth a visit! Despite being small Punta Prima is a popular resort with many bars, restaurants, supermarkets and other local shops and amenities. You will not be able to miss the Nautilus restaurant set right on the shore in Punta Prima. This is a pleasant and affordable place to enjoy a meal whilst looking out at the clear blue Mediterranean Sea. Golf lovers will find that Punta Prima is a great location as there are four golf courses, Villamartin, Campoamor, Las Colinas and Las Ramblas nearby. These golf courses are within a 15 minute drive from Punta Prima. Check out our article on Golf on the Costa Blanca, Spain. Punta Prima has a wonderful Mediterranean climate, enjoying over 300 days of sun, and very little rainfall during the winter months. Punta Prima is situated between the capitals of Alicante and Murcia provinces. 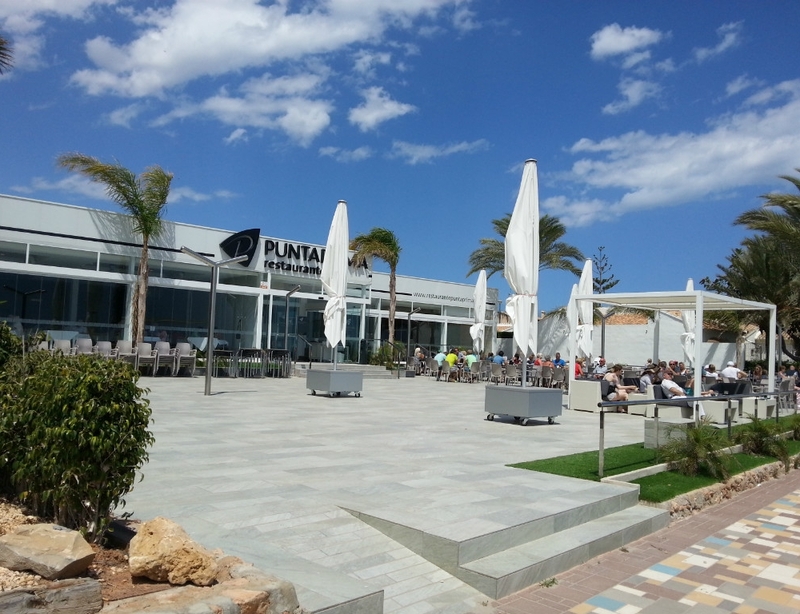 Punta Prima is 45 minutes from Alicante airport, and 25 minutes from Murcia's San Javier airport. See below our Townhouse for sale in Punta Prima, Orihuela Costa.